Most memoirs deal in facts, in whos and whats and whens. However this month’s new biographies contain something a bit different: When We Were Ghouls, by Amy E. Wallen. When We Were Ghouls follows Wallen and her family as they travel around the globe, facing “seismic shifts in cultures”. Years later Wallen must pick through uncertain memories to try and find the truth – were her parents really grave robbers? Harry: Life, Loss, and Love / Katie Nicholl. 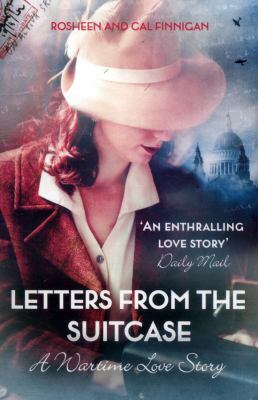 Letters from the suitcase: a wartime love story / [edited by] Rosheen and Cal Finnigan. Young queen: the story of a girl who conquered the world / Parris Goebel with Tracy O’Connor. Everything I know about love / Dolly Alderton. Churchill: the greatest Briton / Christopher Catherwood. When we were ghouls: a memoir of ghost stories / Amy E. Wallen. Ernest Hemingway: a biography / Mary V. Dearborn. Girls at the Piano / Virginia Lloyd.